Archaeology brings together diverse approaches to answer questions such as what our ancestors ate, what they wore, who they traded with, and the environments they lived in. You might undertake the chemical analysis of ceramics or human bones, or use theories drawn from anthropology or sociology. Archaeology is one of the broadest subjects taught at university, and you can study it with either science or humanities A levels. All you need is an enquiring mind and an interest in the past. We cover the full timespan of the human past, from the earliest humans to the modern world. The breadth of subjects available means that you can study the areas you are most interested in. Southampton is a world leader in maritime archaeology, and you can take these units in all four years. Travel and study abroad, working towards a challenging BA Archaeology degree. Spend three years on campus learning the practice of archaeology and what we can understand from uncovering ancient human remains. Your year abroad at one of our partner institutions allows you to make friends while discovering the theories and findings on some of the most exotic and exciting sites imaginable. Archaeology is the study of the human past through its material remains such as buildings, monuments, artefacts, biological remains, written sources and the landscape we inhabit today. Anthropology is traditionally divided in the UK into Social Anthropology, which examines how people in different places create meaning and build communities, and Biological Anthropology, which explores the physiological and genetic diversity in present and past human societies. This BA Archaeology and Anthropology is a four-year variant including a year at an international partner institution. Graduates of this course often find themselves securing employment with the ICMP, Red Cross, teaching, museums, national trust and public services like the Police. Develop your own specialist interest with the dissertation in your final year. Option to take up to 25 per cent of your programme in an alternative subject. The course includes three weeks' fieldwork in the UK or abroad and there are opportunities for more fieldwork or placements. 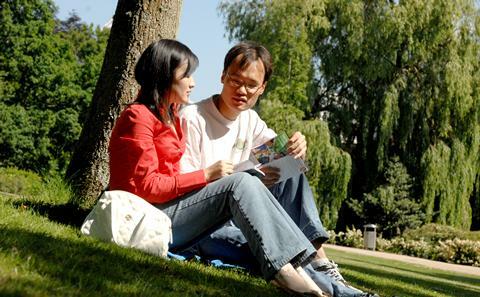 Many of the fieldwork projects, which are a required element of the degree course, are overseas. Current research field projects include Nevis (Caribbean), Calabria (Italy), Andalucia (Spain) and Namibia (Southern Africa). Our Curriculum Innovation Programme offers you the chance to take optional modules outside of your chosen subject area. This allows you to personalise your education, to develop new skills and knowledge for your future.